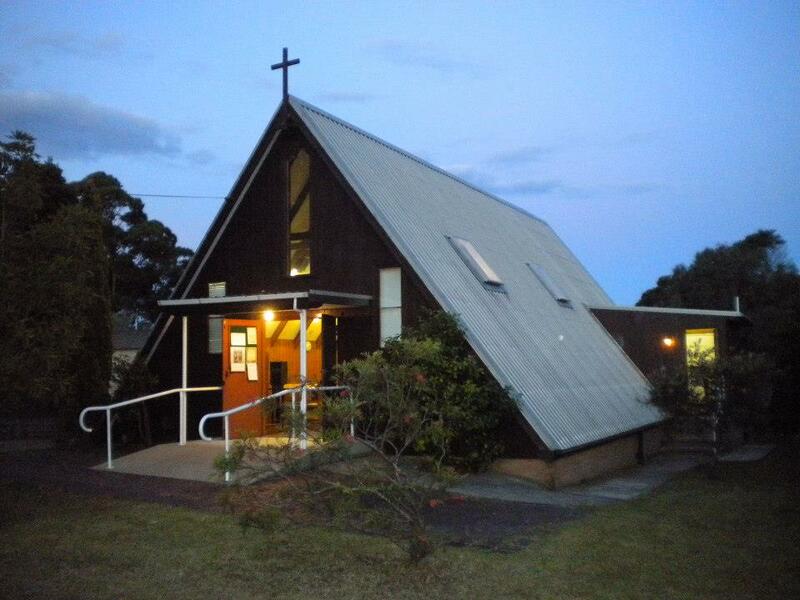 Situated in the arts/heritage precent of Moruya, St. Johns, is surrounded by beautiful gardens that contain the old, heritage listed St John's Rectory, a community hall and the 1890 Church. Anglicans have been practicing on this site since 1843 and today we retain our traditional roots whilst also embracing change. We recognise the gift of being deeply grounded in an ancient practice of church whilst also engaging in innovative and contemporary expressions of faith and spirituality. A new project, the construction of a "Peace Park" in the space between St John's Church and Page Street, is just one example of our energy for renewal and inclusion. Our present Rector is the Rev'd Linda Chapman who was inducted on 21 August 2011. Associate Priest is the Rev'd Rebecca Newland who was commissioned on the 17th of August 2015. Honorary Priests associated with the Parish are: Bishop George Browning, Revd Margaret Streatfield and Revd Philip Peters. Both Linda and Rebecca come from the contemplative stream of the church and are both committed to the marriage of the contemplative and active life particularly in relation to social and ecological justice. Linda is also a Spiritual Director. The significant life energy of this Parish has found expression in such ways as the founding of St Peters Anglican College, Broulee in 2002. Today we remain in close association with the School. Our close relationship with Anglicare reflects our engagement with social issues and care for the most vulnerable within our community. Anglicare offices are now housed in the Rectory. In addition, the Parish gave Anglicare our old shed to be renovated for use as "Cassie's Place", a child and adolescent sexual assault counselling service. Born out of our relationship with Anglicare is Red Door Cafe. This is a weekly community lunch hosted by the Parish in our Hall every Tuesday. The Parish also founded, and continues to coordinate the School Breakfast program at the local public school. Five days a week breakfast is offered to students at the school. A result of the combined gifts of Linda and Rebecca and the wider parish has seen the establishment and growth of a contemplative community attached to the parish - Still Waters. Our Parish Hall is well equipped and available for community meetings and events. Regular musical performances are also held on the grounds. Linda and Rebecca work from a shared ministry model and each work three days a week.